At the colder end of 1970, the cool sound of gospel blues still hollered loudly in the aftermath of a rock revolution and a revival in soul and R&B. Older genres such as gospel remained resolute and uninhibited, offering soulful prayer to a devout audience who revel in the unfolding showcase in the windy city on November 8th 1970. The venerable blues giant Willie Dixon leads the show with his Chicago Blues All-Stars supporting the likes of Gospel Queen Sister Rosetta Tharpe while putting on their own show to open. It's a legendary night that echoes beyond its time to convey the true power of gospel blues from genuine icons. 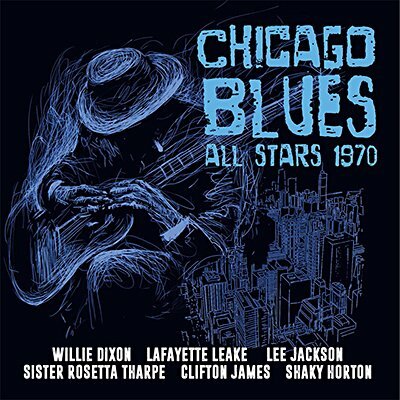 Klondike very proudly presents the entire FM broadcast of the Chicago Blues All-Stars and prestigious guests at the Blues & Gospel Night in November 1970. Professionally remastered original FM broadcast with background liners and rare archival photos.